Airports look alike all over the world. Schiphol has conformed to the patterns of an airport, but its unique design makes it stand out. Megastructure Schiphol looks into the history of the Netherlands’ famous national airport and its sophisticated appearance. Schiphol is a transit zone and a destination; a city and an airport; it is at once international and thoroughly Dutch. From the moment travellers enter the airport, they not only enter a building, they become part of a process of flows of traffic of people and goods. This process is smoothly directed by means of clever architecture and sign posting. The book’s analysis of Schiphol’s metamorphosis over the past century demonstrates its unique character. It shows how the structure of Schiphol is based on fixed design rules that have kept the airport, despite its turbulent growth, well-organized and easy to navigate to this very day. Its unique design functions as a model for many other airports, and is even considered an export product. 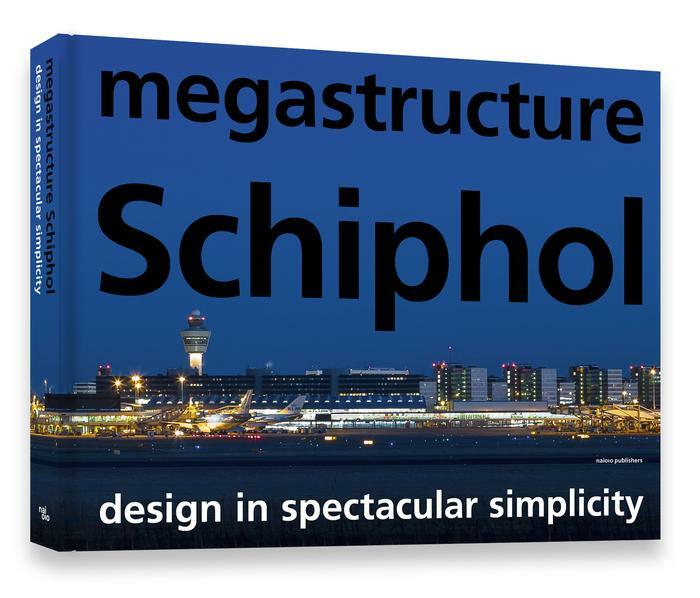 Based on extremely thorough research, this book focuses on Schiphol’s design to visually chart the stratification of this megastructure. An independent, scientific editorial team consisting of a spatial economist, a visual scientist, a historian and three architectural historians have investigated the airport’s development under the leadership of architectural and urban planning historian Koos Bosma. 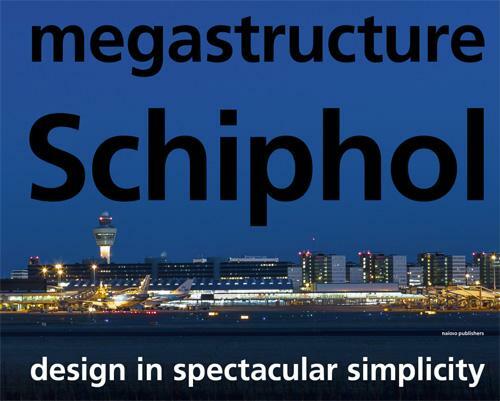 Megastructure Schiphol was made by a team of people: book designer Reynoud Homan, photographer Jannes Linders, LUST (Jeroen Barendse) and researchers from the Urban Nebula project. The book contains: analyses of different levels (of scale), giving insight into the principles on which Schiphol is based: megastructure (1:10,000), infrastructure (1:1000), architecture (1:100), interior design and sign posting (1:10); various interviews with key figures, including former Schiphol director Hans Smit, former architectural and urban design supervisor Kees Christiaanse, architect Jan Benthem, interior architect Nel Verschuuren and wayfinder Paul Mijksenaar; many unique historical images by Frits Rotgans, Jan Versnel, Aart Klein and others, and specially made contemporary photos by Jannes Linders; Eight essays that present various faces of Schiphol. For example, Koos Bosma considers the airport as a prototype of the global city and Abdel El Makhloufi and Karel Davids write about how Schiphol Airport has changed the surrounding region economically; especially for this book, LUST studio has designed infographics that clearly visualize data which generally is not easy to grasp: divergent facts ranging from numbers of passengers to distances, baggage handling, sound standards and flight patterns. A detailed biography of all the authors is directly available upon request. Koos Bosma is Professor of the History of Architecture and Heritage Studies at VU University and headed up a large research project on the history and contemporary state of Schiphol between 2006 and 2013.